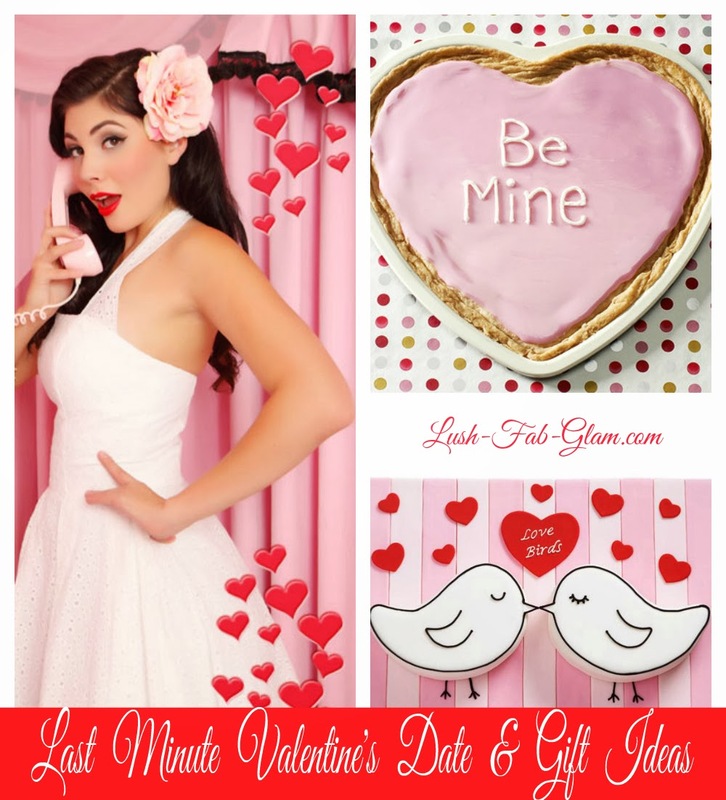 Lush Fab Glam Inspired Lifestyle For The Modern Woman: Last Minute Valentine's Date And Gift Ideas. Last Minute Valentine's Date And Gift Ideas. Last Minute Valentine's Day Date And Gift Ideas. Ok so you're a procrastinator or maybe you've been too busy to plan a romantic Valentine's date or get the perfect Valentine's Day gift for that special someone. Don't worry we are not here to judge but we can help you avoid the dog house with these adorably romantic last minute Valentine's date ideas. With full wait staff service and guess who the lucky waiter is? That's right it's you, pull out the chair table place her napkin in her lap, refill her wine glass, make it a 5 star yet intimate experience. Not a chef extraordinaire, no worries. A quick to your favorite supermarket should do the trick. Grab some easy-to-make meals like Lasagna or a delicious pasta with fresh tomatoes dish. Get some Paris inspired appetizers like cheese served with grapes or strawberries and make a quick stop by the bakery section for some decadent mini desserts. It's quick, easy and leaves you with more time to spend with each other. P.S. Don't forget the music playlist, a quick search on YouTube should do the trick. Get her favorite coffee or tea flavors and some yummy bit size desserts and head unto the ice. Hold hands as you skate along, the cold temperature will give you plenty excuse to keep close and shower her with hugs and kisses. Skip the movie cinema for a warm, cuddly and very intimate movie night in. A warm blanket, chocolate, popcorn and her favorite romantic movies should do the trick. We recommend our favorite romantic movies like "Pretty Woman, The NoteBook, Serendipity, Ever After, Sleepless In Seattle, Ghost, When Harry Met Sally, Hitch, The Time Travellers Wife, Dirty Dancing or let her select the movie, Netflix has an exhaustive list. A Friday evening is the perfect time for a romantic wine tasting Valentine's date. Stop by your local wine store for a bottle of your favorite wine plus a few others that you've always wanted to try. Add cheese, crackers and party music to the mix and voila you're ready to let loose and have a romantic but fun Valentine's night. Write a beautiful love poem and if you're no Shakespeare then print and read out beautiful love poems and quotes to her, or you can simply say a beautiful love toast during dinner. You can find some wonderful ideas by clicking here or you can simply Google a few romantic quotes based on books, movies etc. How are you celebrating Valentine's Day this year? Share with us by leaving a comment below.